The last two weeks I've been watching the Olympics. During that time I was truly amazed at how strong our women athletes are. Just in snowboarding, all the flips and the power. They worked hard, trained harder and it was amazing to watch. I love that in 2018, little girls are growing up knowing they can accomplish anything they put their minds to. 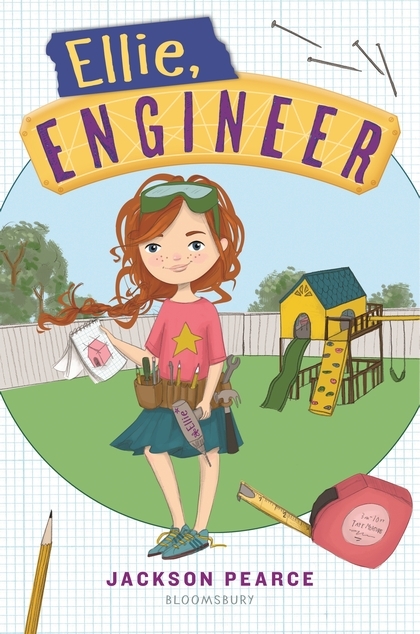 Ellie, Engineer is a book all about a girl who has big plans for the future. She wants to be an engineer when she grows up and work with her best friend Kit. Not only does she have those plans she also enjoys inventing and building now. This book is all about those inventions and the antics that follow. It is a really cute chapter book that has a great heart! About the book: Ellie is an engineer. With a tool belt strapped over her favorite skirt (who says you can't wear a dress and have two kinds of screwdrivers handy, just in case? ), she invents and builds amazing creations in her backyard workshop. Together with her best friend Kit, Ellie can make anything. As Kit's birthday nears, Ellie doesn't know what gift to make until the girls overhear Kit's mom talking about her present--the dog Kit always wanted! 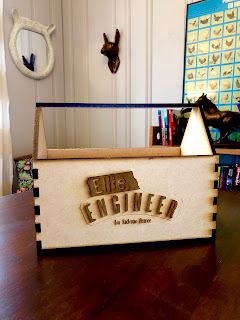 Ellie plans to make an amazing doghouse, but her plans grow so elaborate that she has to enlist help from the neighbor boys and crafty girls, even though the two groups don't get along. Will Ellie be able to pull off her biggest project yet, all while keeping a secret from Kit? One lucky reader will receive a copy of Ellie, Engineer and a custom DIY Ellie-branded toolbox, designed to be easily assembled Ellie-style, as well as some simple tools and an instruction booklet! I wanted to be a missionary. I always wanted to be a pilot! !I love to fly in airplanes.